How do I add and SRV Record? 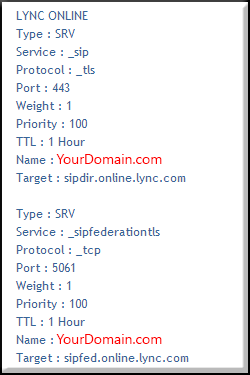 I have all the info, but I can not figure out the formatting..
SRV Service records advertise a specific service a server offers. Some applications such as Zeroconf and XMPP Federation (Jabber and Google Apps) use SRV records. Value: 100 1 5061 sipfed.online.lync.com.